Cabinet manufacturers continued their sales expansion last year, but some of the most familiar names in the business are doing it under a different banner. Overall, sales for the FDMC 300 group of companies grew 4.75 percent in 2018, to reach $54.691 billion. But among the largest cabinet companies, the big news was from consolidations and mergers. This group of the 300 largest North American cabinet, millwork, furniture and fixture manufacturers recorded a seventh consecutive year of sales expansion in 2018. In 2017, sales grew 5.4 percent over the previous year to $52.209 billion. Companies in most market sectors that reported indicated growth or similar sales levels compared to the previous year. Some of the largest publicly traded manufacturers consolidated operations or concentrated on improving efficiency rather than increasing overall revenue. The FDMC 300 is a group of the 300 largest cabinet, furniture, millwork, store fixture, office/contract and component producers in North America. This annual summary of wood manufacturing firms' sales performance is published annually by FDMC magazine. The Kitchen Cabinet Manufacturers Association reported that 2018 cabinet sales totaled $7.3 billion, a growth of 2 percent compared to 2017 figures, according to the latest KCMA business trend survey. Sales of stock cabinetry grew 4.8 percent and custom sales also increased 4.5 percent, while semi-custom sales decreased 1.8 percent, according to participants in KCMA's monthly Trend of Business survey. A year-over-year comparison also showed smaller growth for sales in December at 0.7 percent. Stock sales increased 5.3 percent and custom sales rose 3.5 percent, however semi-custom sales dropped 5.7 percent compared to 2017 figures for the month. The KCMA Trend of Business Survey participants include stock, semi-custom, and custom companies whose combined sales represent approximately 70 percent of the U.S. kitchen cabinet and bath vanity market. KCMA said 63 percent of its cabinet manufacturer members report sales below $10 million annually, reflecting the importance of small manufacturers in the industry. A year earlier, KCMA said that participating cabinet manufacturers reported sales totaling $6.9 billion for 2017. That was a 2.9 percent increase compared to 2016. Here’s a look at the largest cabinet manufacturers in North America. 1. MasterBrand Cabinets. The cabinet segment sales estimate ($2.390 billion) was based on third quarter 2018 reported sales. The company is part of Fortune Home & Security, and makes stock, semi-custom and custom kitchen and bath cabinets, in addition to frameless RTA. 2. American Woodmark. The Virginia-based company makes stock and semi-custom kitchen and bath cabinets. The figure of $1.7 billion is based on the company’s fiscal year. Figure includes sales from the merger with RSI Home Products, Inc., another large manufacturer of kitchen and bath cabinetry and home storage products. 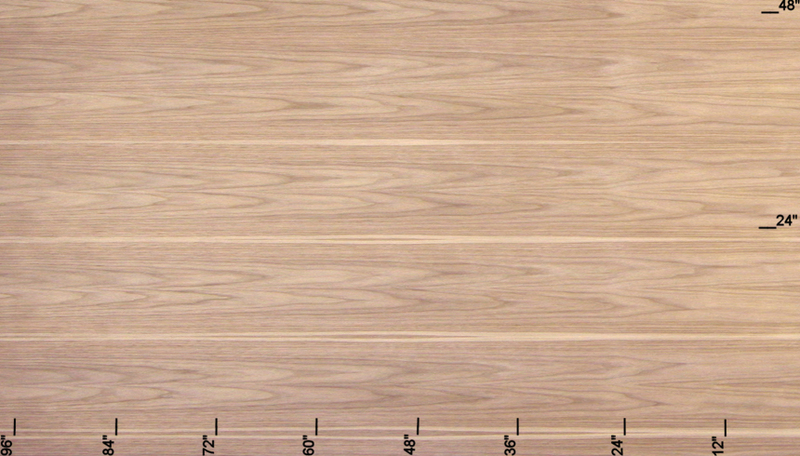 The acquisition moved American Woodmark from the third biggest cabinet manufacturer in the United States to the second biggest. The combined company has 18 manufacturing locations. RSI was acquired by American Woodmark in December 2017, and the agreement was completed in 2018. RSI made stock and semi-custom kitchen and bath cabinets and marble countertops. RSI had estimated annual sales of $560 million for 2017 and 3,500 employees. 3. Masco Corp. Sales estimate of $965 million was based on third quarter cabinet segment sales and company info. 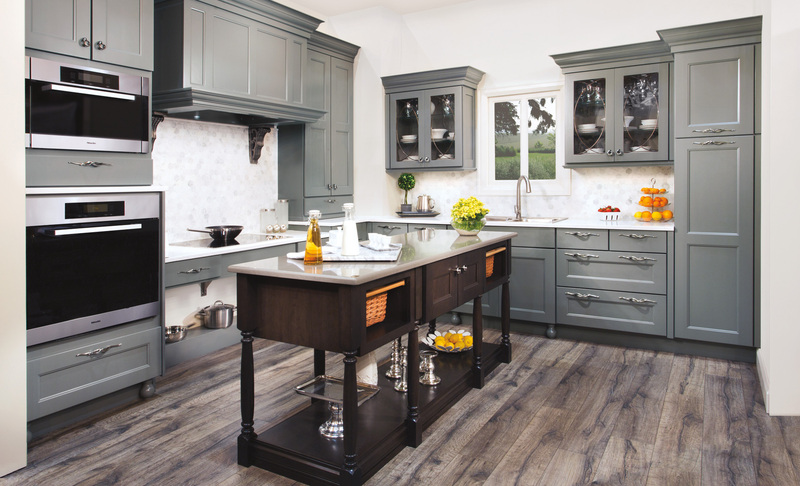 In March 2019, the parent of Kraftmaid, Merillat, Masco Cabinetry, and Cardell Cabinetry, Masco Corp., says it will "explore strategic alternatives for its cabinetry and window businesses. Final 2018 fiscal year sales were reported in February 2018 to be $950 million. The company makes stock and semi-custom assembled and ready-to-assemble kitchen and bath cabinets, and other room cabinets. Divisions are KraftMaid Cabinetry, Merillat Industries, Masco Retail Cabinet, and Quality Cabinets. 4. Elkay Manufacturing. Company has been acquired by ACProducts. The acquisition was to become final in 2019. Elkay was listed separately in the FDMC 300 for 2018. Cabinet brands include Mastercraft, Medallion, Schuler, Yorktowne, American and Design-Craft. The company makes semi-custom kitchen and bath cabinets in six locations: Aurora, Colorado; Culver, Indiana; New Ulm and Waconia, Minnesota; Independence, Oregon; and Mifflinburg, Pennsylvania. 5. ACProducts, Inc.. Communication after the 2018 FDMC 300 was compiled indicated that the company would have about $465 million in sales, taking the acquisition of Elkay and Master WoodCraft Cabinetry LLC into account. Master WoodCraft ranked 12th in cabinets a year ago and makes cabinets for multifamily homes, countertops, and components in Marshall and Jefferson, Texas. 6. Foremost Groups. New Jersey-based company is a manufacturer and an importer, and makes bathroom vanities and shelving for Wal-Mart. The $150 million in sales is our estimate. 7. Wellborn Cabinet Inc. Sales were estimated to be $150 million, in four locations in Ashland and Lineville, Alabama, and Salt Lake City, Utah. The company makes stock, semi-custom and custom kitchen and bath cabinets; closet cabinets and storage systems and employs 1,150. Wellborn Cabinet sold Rutt Handcrafted Cabinetry in New Holland, Pennsylvania, to Birch Holdings of PA, LLC, a wholly owned subsidiary of Birch Investment Partners, LLC. 8. Wood-Mode Inc. Wood-Mode makes custom and semi-custom kitchen and bath cabinets, and custom cabinetry for other rooms at a single location in Kreamer, Pennsylvania. The company employs 1,200. Sales of $200 million is our estimate for manufacturing only, and doesn’t include retail sales. We didn’t get any information direct from the company. 9. W W Wood. The Dudley, Missouri, company makes kitchen and bath cabinets, millwork and mouldings, custom cabinets, cabinet doors, and employs 1,000. Sales figure of $125 million was based on year-ago sales provided by the company. 10. Leedo Mfg. The company makes stock and custom kitchen cabinets, bath vanities, laminate, granite, and quartz countertops in East Bernard and El Campo, Texas. Additional information on these companies and the full list of 300 companies is also online at http://www.woodworkingnetwork.com/fdmc-300.